Jennifer & Jake were married March 28th, 2015 at Events on 6th in Tacoma, WA. The date has special significance, as Jennifer’s grandparents were married the day before in 1940. They said their vows and celebrated their day surrounded by the glamour and sparkle of the Great Gatsby era and many happy personal touches. 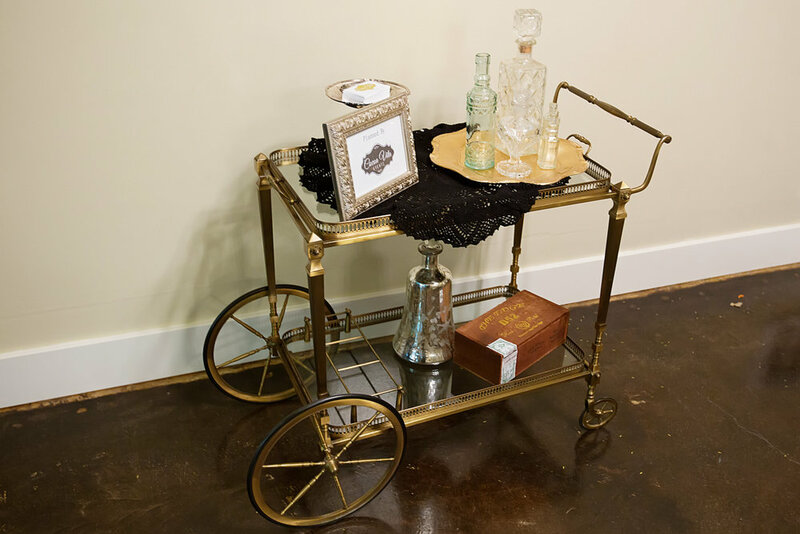 Events on 6th was decked out in blush, gold, Tiffany blue, and silver, beautiful antique items, and a chandelier brought in by Wedding Planners Cocoa Vita Events. 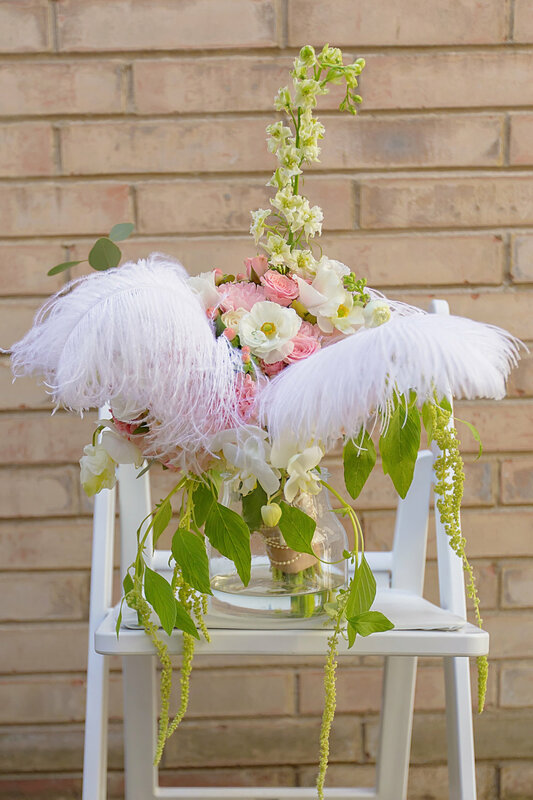 “I always had a vision of what I wanted my wedding to have: a vintage elegance with modern touches," said Jennifer. Some of her favorite special touches were wedding photos of her grandparents displayed in the lounge, the photo booth, and the chalk board signs her best friend and maid of honor created. That Saturday was sunny and warm and the wedding began at 4pm, with Jennifer’s stepfather and aunt sharing officiating duties. The maid of honor escorted the couple’s dog Baxter down the aisle, and Jennifer’s father gave a robust ‘Yes!' when asked if he was willing to give his daughter away. Jennifer walked down the aisle in a gorgeous dress by Allure's Couture collection to Canon in D by Pachelbel and the married couple recessed to Allegro Finale from Fireworks Music by Handel. “One of my favorite moments of the day was the look on my beloved’s face when we both saw each other for the first time,” said Jennifer. During their 9 month engagement, the couple looked at several venues before deciding on Events on 6th. “We chose Events on 6th because the style matched our Great Gatsby theme. We loved that this venue had a chapel and reception space. We were attracted to the stained glass and vintage wood pews in the chapel. The reception space was open with exposed beams that allowed a blank canvas for decorating,” said Jennifer and Jake. The happy couple met in a social meet-up group called the South Sound 20's and 30's. Jake proposed on Father’s Day among family and friends. “He put my ring in a cheesecake, and I didn’t see it," said Jennifer. “I ran out of the room to find a lighter for the candles, and everyone yelled for me to come back, and then I finally spotted the ring! He got down on one knee and asked for my hand in marriage." The reception was also filled with fun and family. One of Jake’s favorite moments was an uncle presenting him with a very particular tacky tie. “It’s been passed down to every male in the family at their wedding,” he said. Dinner was Lemon Dill Salmon, Pork Loin with Spicy Pear Sauce, Lemon Pepper Cous Cous with Seasonal Vegetables, and Fresh Spinach Salad with Strawberries and Candied Walnuts, all created by Occasions Catering in Olympia. “The owner worked very hard to create a menu in our price range that fit our needs,” said Jennifer. The caterer also provided a mini dessert bar with chocolate covered strawberries. The celebration continued with music by DJ Rexx of Mr. Lobbo Pro DJ Service, “the best DJ ever,” exclaimed Jennifer. The couple’s first dance was to “You are the Best Thing” by Ray LaMontagne. “This song is a perfect summation of our relationship and how we feel about one another,” said Jennifer. The couple exited to sparklers and a vintage Bentley get-away car and then on to their honeymoon in Punta Cana in the Dominican Republic. As a wonderful postscript to the day, the gentleman who caught the garter proposed to one of the bridesmaids a few weeks later!